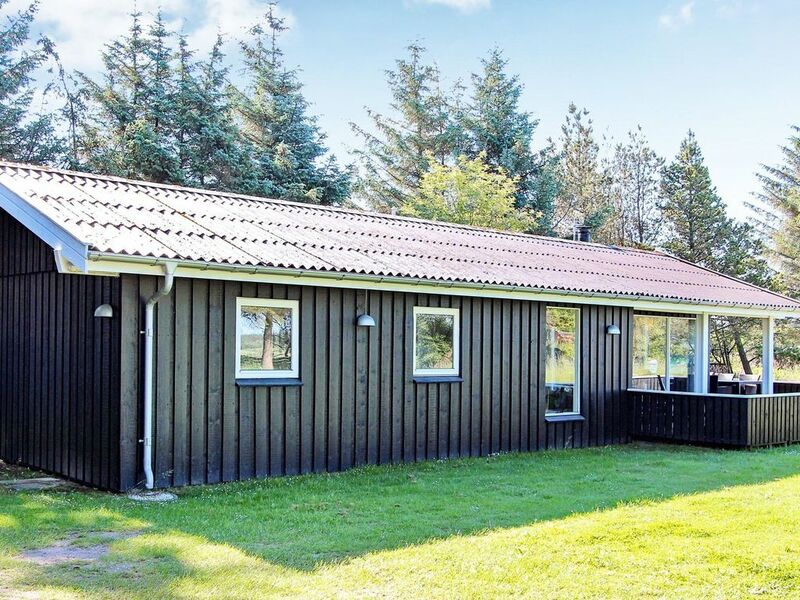 Personally decorated holiday cottage located in quiet, scenic surroundings at Saltum Strand. The house was built in 1980 and features an open-plan kitchen and living room, three bedrooms, bathroom with shower and a covered and open terrace. The bathroom was renovateed in 2017. There is an extra refrigerator available. The decor is in the well-known Danish rustic cottage style. The living room has direct access to a very large south/west facing terrace. The plot is a level lawn plot surrounded by trees and shrubs and completely undisturbed and with plenty of opportunities to find a corner with shelter. The location is quiet and calm as the plot borders a large, scenic and undeveloped land. Access to water and beach is along trails through the area.